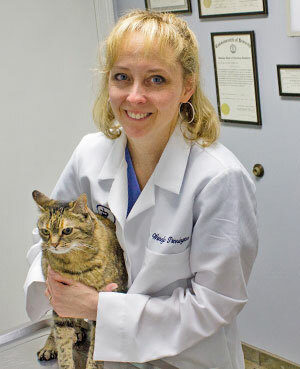 At Pennington Animal Hospital in Huntsville, Dr. Harry Pennington and Dr. Wendy Pennington recommend annual wellness examinations for the same reason that your personal physician or dentist recommends them: if a health problem or issue can be detected in its early stages, there is a far greater likelihood that it can be resolved and treated with less difficulty, less expense and greater success. Changes in your pet's appearance or temperament may be signs of medical problems. Seemingly insignificant lumps and bumps under the skin may be indications of infection or cancer. Ear infections, abscessed teeth and gum disease are common, painful conditions that may not become noticeable until they have seriously advanced. 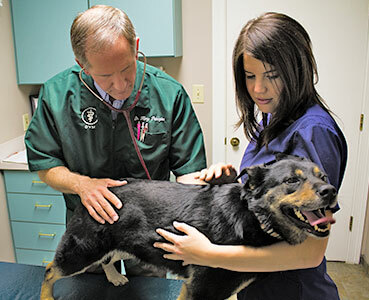 A comprehensive physical examination helps your veterinarian and you evaluate your pet's health and make informed decisions about their veterinary care. When you bring your pet to Pennington Animal Hospital, we work with you to create a lifetime preventive health care plan. Our goal is to provide the best veterinary care possible so you and your companion can enjoy a long, healthy and happy life together. During each examination, we take the time to listen to your concerns, answer your questions and keep you up to date on the information you need to be the best caregiver to your pet. Good communication between you and your pet's doctor ensures your companion is receiving the optimal care for a long and healthy life. Immunizations are vital for keeping pets healthy and free from disease; however, not every pet requires the same series or frequency of vaccines. 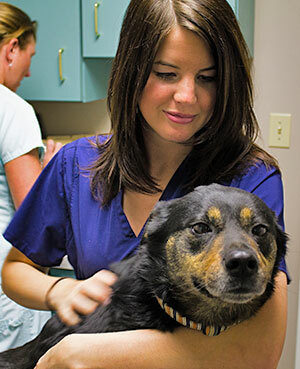 At Pennington Animal Hospital our veterinarians determine an immunization protocol based on your pet's lifestyle, susceptibility to disease, geographic location, and the most current recommendations from the American Veterinary Medical Association. Our goal to is to maintain optimal health and protection while not over-vaccinating your pet. Beyond causing serious discomfort and infesting your home, fleas and ticks carry diseases dangerous to both you and your Huntsville pet. If your pet is allergic to fleas even just one bite can result in a severely painful skin infection. Fleas can also transmit serious diseases such as bartonellosis (the bacteria that causes "cat scratch disease" in people), and other parasites like tapeworms. In our area, ticks can carry a variety of serious illnesses, including Ehrlichiosis and Anaplasmosis. The best course of action to protect your pet and yourself from fleas, ticks and the potential of tick-borne disease is prevention. Fortunately, there are safe and effective flea and tick control products available at Pennington Animal Hospital, and our veterinary team will help you choose the correct preventive regimen based on your pet's risk factors and health status. We can also recommend which external pest control products are ideal for your household, based on the everyday life of your pet. Heartworm disease is a serious, life-threatening disease transmitted by mosquitoes. It affects dogs and, to a lesser extent, cats. In the U.S., Heartworm disease is most common along the Atlantic and Gulf coasts from the Gulf of Mexico to New Jersey and along the Mississippi River and its major tributaries, and it is a disease pet owners in our area need to be aware of. Clinical symptoms of Heartworm disease develop slowly. Early symptoms include lack of energy, exercise intolerance, coughing and difficulty breathing. Because Heartworm disease is increasing in frequency and is a serious and deadly disease, we recommend your dog be tested annually. Heartworm disease prevention is simple and effective. We carry Heartworm preventives for dogs and cats and our veterinary team can help you select one that is right for your pet. If you would like to have your pet tested for Heartworm disease, or if you would like additional information on how best to protect your pet from this dangerous parasite, please call Pennington Animal Hospital today for an appointment. If you would like more information about the Madison County pet wellness services Pennington Animal Hospital in Huntsville offers for your pet or to schedule an appointment, please call 256.883.4148.